Cabo San Lucas is a popular destination among those looking for a relaxing, sun-soaked getaway, as well as for those searching for a bit of adventure and excitement in this Baja California town. 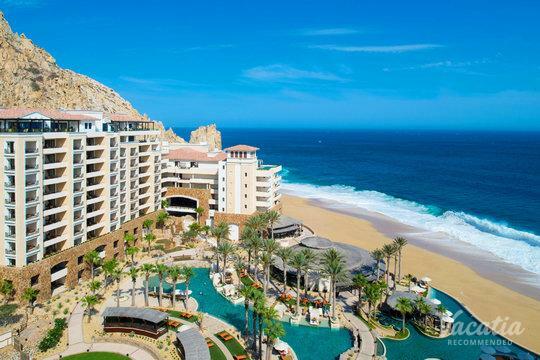 Cabo has something to offer every type of visitor, from party-goers looking to experience the town's famed party scene to couples looking for a bit of romance. 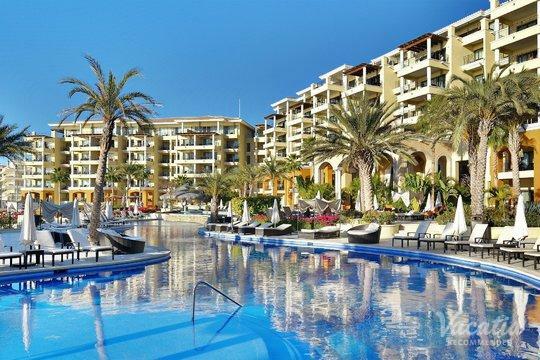 No matter what you have planned for your time in this Mexico gem, you should let Vacatia help you find one of the best studio condo rentals in Cabo San Lucas. 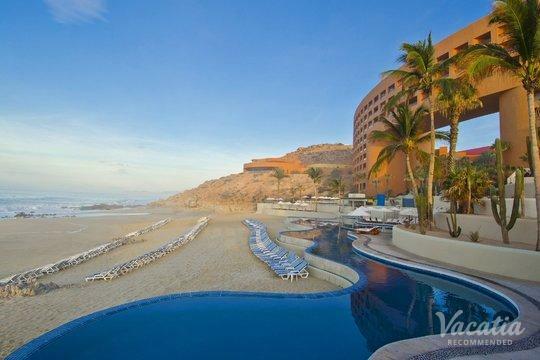 Vacatia provides travelers with high quality vacation rentals in some of the world's most desirable vacation destinations, such as Cabo San Lucas. When you stay in a Vacatia rental property, you can rest assured that Vacatia will go above and beyond to ensure the rental exceeds your expectations. Vacatia's Guest Care team is always available to answer any questions or address any concerns you may have about your vacation rental. When you let Vacatia take care of one of the biggest hassles of trip planning, you can breathe easy and instead focus on enjoying your time in this Baja California paradise. Cabo San Lucas has been known as a hotspot for the rich and famous for decades, but today it draws visitors from all walks of life. 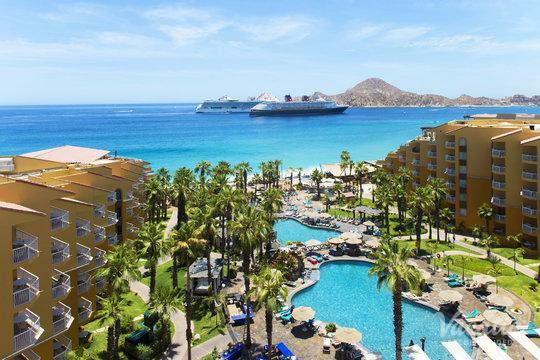 As Baja California's most popular resort town, Cabo continues to attract visitors year-round thanks to its beautiful beaches and terrific weather. 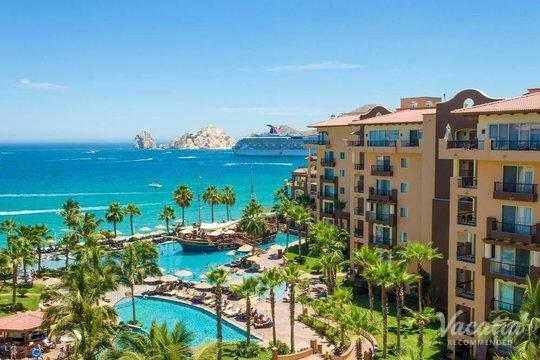 Whether you're traveling to Cabo San Lucas during peak season or during off season, you should let Vacatia help you book your stay at one of the best Cabo short term rentals available. 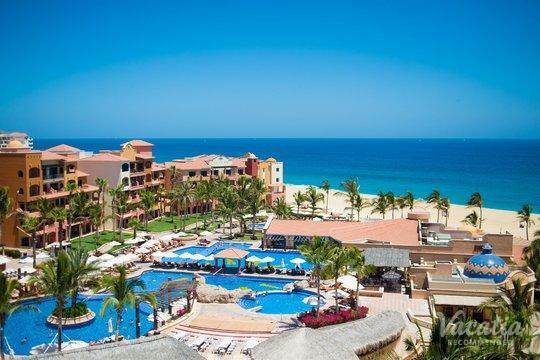 There are a number of quality condo hotels in Cabo that combine the space and comforts of home with the luxury of a resort, and Vacatia can help you book your stay at one of these quality vacation rentals. Considered "resort residences," Vacatia's properties include ample living space, a fully equipped kitchen, and the desired services of a resort. You can make the most of your time in this Baja California resort town by staying in a Vacatia rental property, as it will make you feel as if you have your very own home in paradise. Cabo San Lucas is located at the tip of Baja California, Mexico, where beautiful beaches abound and the sunsets are breathtaking. Cabo boasts stunning natural settings and a charming resort town, where visitors can find great dining, shopping, and nightlife. From its world-class resorts to its endless natural beauty, Cabo is a vacation destination that provides something for every type of traveler. 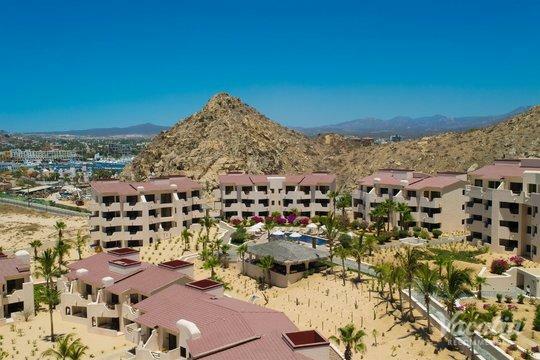 So if you want to find your own paradise in this Baja California gem, let Vacatia help you book your stay at one of the best condo rentals in the area. When you have a great home away from home in Cabo San Lucas, you will be able to enjoy every moment in this sunny, vibrant coastal town.